Luscious, brilliantly-colored tropical fruits are artfully arranged with dried fruits for gifts that delight. Perfect for anyone who loves to experience exotic fruits and flavors. 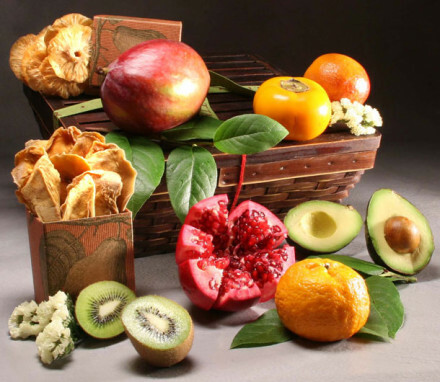 Bring the bright and vibrant flavors of the tropics anywhere with an exotic fruit basket! Our tropical fruit gifts are filled to the brim with all of your favorite exotic fruits including mango, papaya, pineapple, passion fruit, lychees and many more. 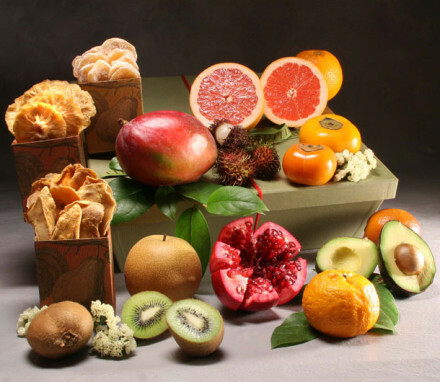 Some of our exotic fruit gifts even include avocados, kiwis, pomegranates and a variety of dried fruit. 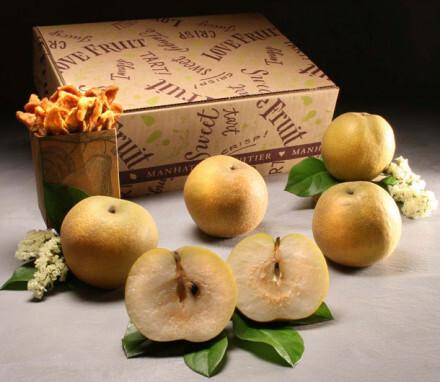 At Manhattan Fruitier, we have an exotic fruit basket that will match anyone’s taste preference. Our tropical fruit gifts are delightful, refreshing and the perfect gift for friends, family, employees, coworkers and even clients! While indulging in our various tropical fruit gifts, you will feel as if you are relaxing in tropical paradise with each bite of our delicious mangos, pineapples, and papayas. Not only are these tropical fruit gifts beautiful and colorful, but they use only the freshest, seasonal ingredients. Give the gift of a tropical experience and shop our tropical fruit gift baskets now!